Putting up a Mezuzah in your home or office is a statement. Here is ours: "We offer our services free of charge"
As part of our ongoing commitment to help serve the Jewish community, we now offer our services in purchasing, affixing and/or checking your Mezuzot. We will schedule an appointment and will come to your home or office to pick up and deliver your Mezuzot. There is no fee for our service. You will only be charged for the Mezuzah itself or the fee of the scribe to have your Mezuzot checked.Click here to order Mezuzot. 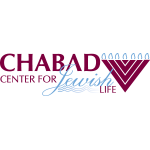 For more information or to set up an appointment, please contact Rabbi Shimon Kramer or Chana at 516-833-3057 or fill out this short form and we will contact you shortly.